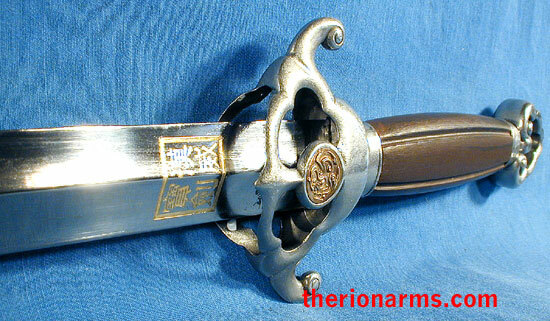 Designed by Sifu Adam Hsu from Taiwan, this sword is ideal for students of Chinese sword arts. The rigid diamond cross sectioned blade has a strong central ridge that stiffens the sword and facilitates an audible whoosh when swung. The Ming style guard is ornamented with an embossed dragon. the open pommel allows for tassel or scarf attachment. 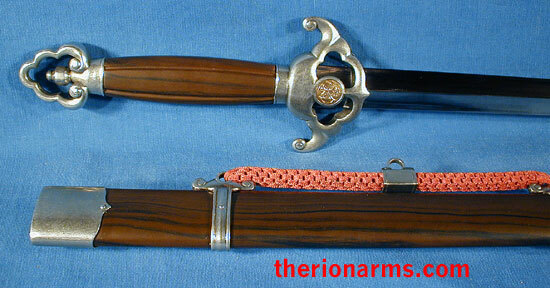 The jian are available with grip and scabbard in a durable wood-grained fiberglass polymer. The grip is grooved to increase sensitivity and awareness of the blade edge. Pommel and guard are stainless steel. A unique feature is the "duck-bill" lock at the bottom of the scabbard that securely holds the sword in place. Sifu Hsu has done the martial arts community a great service in designing such an affordable and functional sword. This sword is made by Paul Chen / Hanwei, and is available in three blade lengths: 28" blade, 30" blade, and a 32" blade. grip and pommel: 6 3/4"
A comparison of the Adam Hsu jian and the Practical series Tai Chi sword - Fittings are similar, the main differences are in the blade. The Tai chi sword has a sharp flexible blade, suitable for both forms and cutting training. 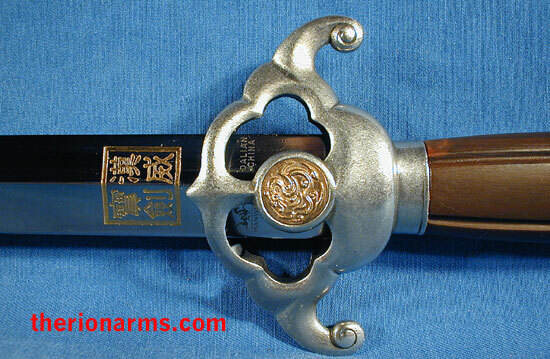 The Hsu jian have a blunted rigid blade, suitable for forms and light sparring training. The Tai Chi sword blade distally tapers from thick to thin, whereas the Jian does slightly taper but is roughly the same thickness the length of the blade. The grips differ in that the Tai chi grip is round, and the Jian have a more slender grooved grip.